The measure is the City’s Overall Bond Rating. When cities borrow money, it is typically through offering bonds for sale. Part of the process in selling bonds is to have the City rated. There are three major rating agencies that evaluate thousands of issuers and their municipal bonds. The agencies are Moody’s Standard and Poor's (S&P), and Fitch. The objective of the municipal bond credit rating is to make it faster for participants to evaluate risk. A bond’s credit rating is the rating agency’s opinion as to the creditworthiness of the bond’s issuer. The ratings are published by the credit rating agencies and used by investment professionals to assess the likelihood the debt will be repaid. Rating agencies also make periodic checks to assure that entities offering bonds are still at the same level through what are called a surveillance check. If the rating agency sees negative trends or during the surveillance check the entity has changed, the bonds could be upgraded or downgraded. A “Triple A” (AAA) rating is the best rating, and is the target for the City. The measure will indicate "on target" at AA, as the City is now on target to be upgraded based on some key criteria used by rating agencies. A strong credit rating is important as a reflection of our financial management practices and also allows the City to receive more favorable interest rates when borrowing money. Having a strong credit rating of “AA” has translated into very good interest rates for borrowing. One of our bond ratings for our utility was upgraded to “AA+”, which is a step closer to the coveted “AAA” rating. 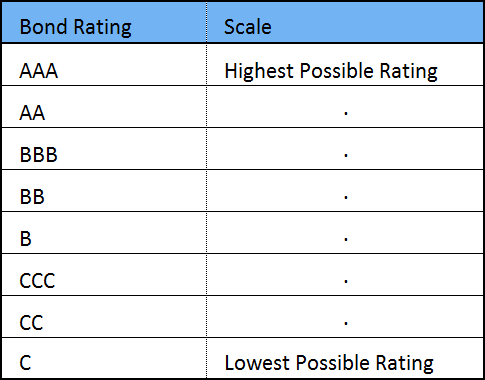 As noted, the City appears on target to be upgraded based on key criteria used by rating agencies. West Palm Beach is in a large recovering tax base, has strong reserves, conservative financial management, and a strong cash position. The City's revenues are diverse and the tax base has grown substantially in the last three years. Paired with a stable outlook, and our commitment to maintain strong fund balances and grow and diversity revenue sources, we should be on target to reach a AAA rating.